In addition to other remodeling help GC Flooring Pros offers interior and exterior painting services. Our excellent team of painters will analyze the size and available lighting sources and advise you on the paint color options to best match your preferences as well as the requirements of the space in question. No matter if we are working indoors or outdoors, we always take necessary precautions and pay great attention to detail. As a result, you’ll have a seamless paint job to show off you and your family will enjoy for many years. If it’s in the way, it as to go. We’ll move all furniture, wall hangings, curtains, appliances to a safer place. In the next step, we will repair any visible minor imperfection such as nail holes and dents. Every impurity will be patched and smoothed before painting begins. Protecting your home with drop cloths, tarps, and blue painter’s tape. This is where actual painting starts. We will cut with new color around all windows, doors and ceiling. Once the cutting is done, it’s time to feel the “blank spaces”. This is the final stage. 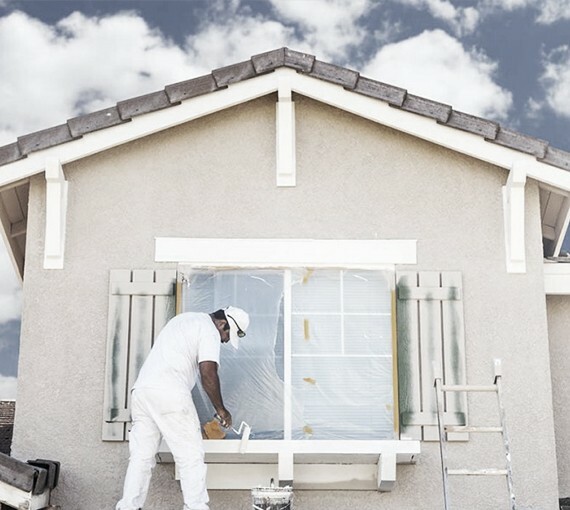 We remove any protective covering or minor paint mishaps that might be visible. True, unlike interior painting there isn’t much stuff to be moved when painting outside. However, there are other steps to be followed. Depending what materials are used in the exterior of your home there are good chances it’s covered in dirt, algae or grim (or all of them). We clean all surfaces before we start to paint. Usually, there is some old paint left on the surface. 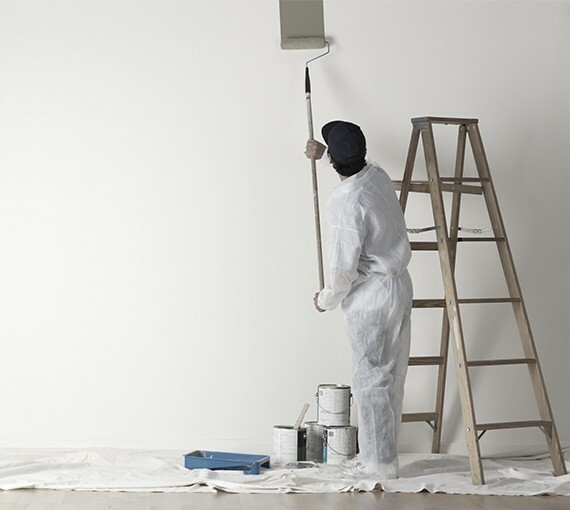 Unless removed, this can cause some considerable problems during and after painting living you with a lousy paint job. This is why we sand off any remains. This is the stage is where all gaps around the window and door frames, as well as any visible cracks on the surface, get sealed. This way your house will become more energy efficient and you might even get a buck or two more when selling it. Once every crack is sealed up properly it’s time to actually start painting. This is the final stage of the painting process. We will review our work one last time and correct any minor imperfections we might have missed before.